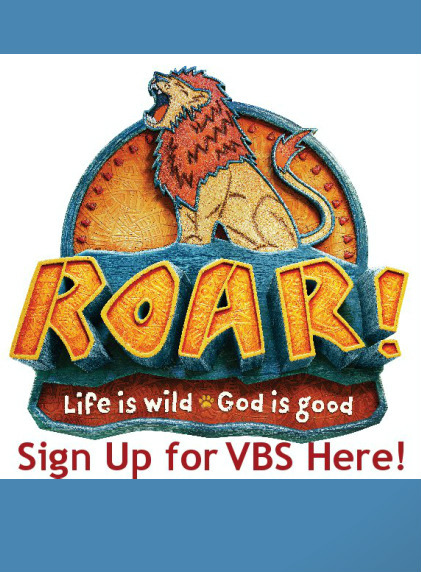 Join us for a "roar"ing good time at Vacation Bible School this summer, July 22-25 from 9am to noon. At Roar, kids explore God's goodness and celebrate a ferocious faith that powers them through this wild life. A suggested donation of $20 per child is requested.